DEP is a leading developer, manufacturer and supplier of coated film products for the printing, graphic display, tape and label markets. DEP also has precision clean room coating equipment and a highly skilled team to work with you on the development and manufacture of coated products and contract coating services for the Medical, Security, Print and Industrial markets. We pride ourselves on supply of consistently high quality coated products backed up by World Class Customer Service. We manage the whole supply chain for you from sourcing specialist materials, developing and coating products to holding stock for quick response times. At DEP we are proud to continue the Company’s long tradition of supplying our customers with products of excellent quality. We operate a Quality Management System that is fully accredited to ISO9001:2008 with the objective of achieving and maintaining best practice output through all areas of the business. 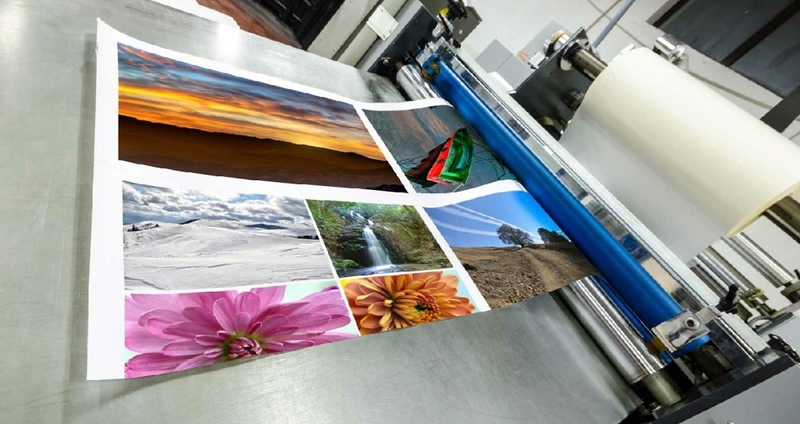 As manufacturers of coated and laminated products, primarily for digital print processes and medical applications, DEP strives to achieve and maintain a level of workmanship that will guarantee the services and products supplied will conform to the standards expected by our customers. - use the Quality Management System as a method of achieving and maintaining best practice output through all areas of the business. - ensure continuous improvement by setting realistic goals and objectives, which are measurable, and the effectiveness of which shall be regularly reviewed by the business management team. In order to implement this policy, the business needs shall be focused particularly on our ability to consistently meet our customers’ requirements and statutory obligations. The Quality Management System will provide suitable mechanisms for identifying deficiencies within the system and for instigating process improvements. - responsibilities for quality are clearly defined and communicated to all employees. - the quality policy and associated procedures continue to be appropriate, by carrying out regular reviews to check their continued relevance and effectiveness. The customers perception of the business, including their needs and expectations, may be determined and continuous improvement activities are in place to meet these expectations. - We encourage active participation in and positive contributions to environmental stewardship by our employees. - We ensure the sustainability of new and existing businesses through the selection of environmentally acceptable products and technologies, responsible recycle and reuse options, energy and material conservation practices. - We make products that are safe when used and handled responsibly and work with customers and transporters to ensure the proper management of our products during their entire life cycle. - We ensure that our operations and distribution systems are safe, secure and compliant for employees, site contractors, guests, communities and the environment. - We manage all properties responsibly and seek viable reuse and redevelopment opportunities. - The compliance with all relevant legislation and company environmental requirements. - The setting and review of objectives and targets to address environmental effects identified from the risk assessment of activities, products and services. - The provision and maintenance of a management system that is consistent with the principles and requirements of Responsible Care. - The provision of information, instruction, training and support for all employees and others working on site. - This policy, and the progress against the objectives and targets in the business environmental programme, are communicated regularly to employees and other interested parties. Subsequently after the Second World War, under the direction of Samuel’s son, Bernard, the company moved to Frith Park, Walton-on-the-Hill, Surrey and became DEP Ltd. Considerable commercial success was achieved through the development of products such as Astrafoil for the Offset printing industry. This unique product was introduced in 1948 and it subsequently revolutionised the photographic production of printing plates and was marketed world-wide. 1955 saw the launch of Astrascribe, a product that was much used in map production by organisations such as the Ordnance Survey. Bernard Kahn’s son, Jack Kahn, joined the company in 1969 and as DEP’s present director further expanded the company’s activities with the development and supply of films for masking, stencil-making, laminating, and digital printing. Today this heritage of commercial resilience and technical expertise means that DEP’s name is still synonymous with advanced coating techniques and quality materials. We supply customers in printing, medical supplies, security and specialty labelling, and other demanding markets. Our coating and laminating facility in Runcorn, Cheshire, accredited to ISO 9001:2008, bears witness to this continued evolution and success, enabling us to provide bespoke coating solutions for an expanding portfolio of customers. 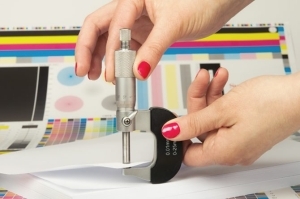 In addition, we continue to manufacture and supply a long-established range of excellent coated products for the printing industries under the DEP ‘Astra’ and ‘Synplas’ Brands.